Who doesn’t love pumpkin flavored everything?! Call me basic, but I can eat pumpkin treats all day 🤷🏼‍♀️ But, since I’m watching my weight, I have to pass on most. Boooooo, I know. 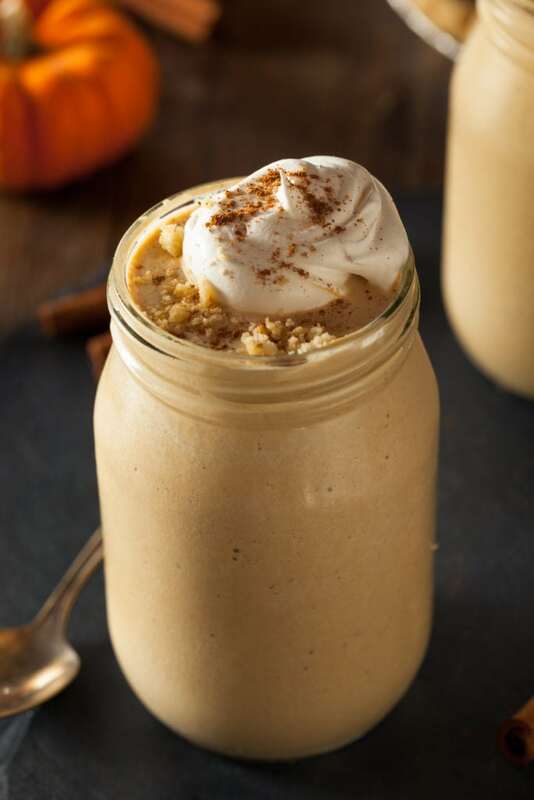 But this easy and mouth watering pumpkin protein smoothie recipe will definitely satisfy those pumpkin cravings! I drink it after my workouts and it feels like a treat. My toddler even loves it and it’s a nice way to sneak some protein in to his diet since he is such a picky little eater. If you love pumpkin flavored drinks from Dunkin’ Donuts or Starbucks, this is for you. If you just love pumpkin, this is for you. If fall is your favorite season, this is for you. 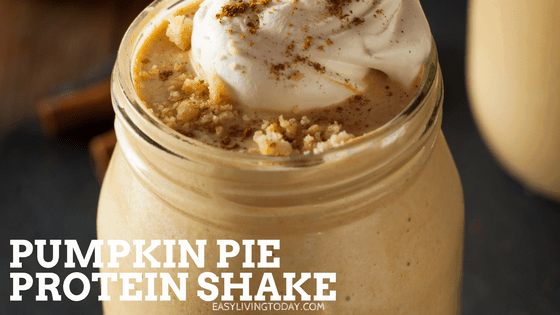 The taste of your protein powder is going to have a lot to do with the final flavor of your protein shake (that goes for any protein recipe, not just this pumpkin pie protein smoothie recipe). Therefore, you need one that you absolutely love if you want to enjoy your shakes and other protein recipes. I have found my protein peace with Perfect Keto collagen protein. They all taste amazing so I constantly use them in different recipes. Even though I’m not on Keto, I love that it’s low carb and the collagen provides extra benefits for skin and hair. But the best part is that one scoop is only 80 calories (compared to 190 for others). This is the missing link to most pumpkin shakes! Some call for banana and then your smoothie will taste like banana instead of pumpkin. Nope, chai is what you need for an amazing tasting shake! It tastes just as good as it smells, I promise! This specific one that I use has no hydrogenated oil or trans fat and is gluten free. It is also made with natural spices. 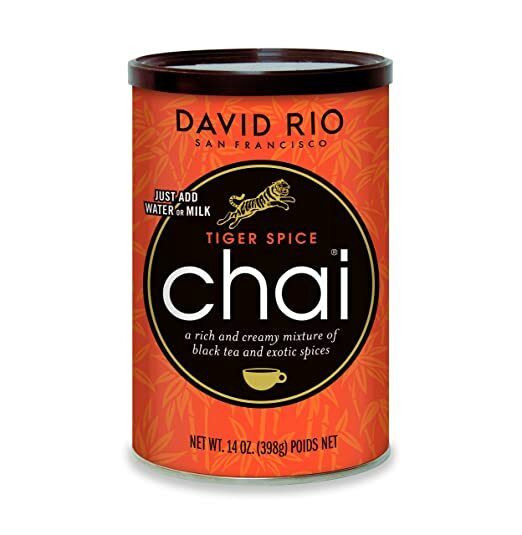 And when you are not making a pumpkin protein smoothie, you can easily make a delicious chai latte, hot or iced!